I have a camera. I have a tripod. I have over 10,000 subscribers on YouTube. I should do something with that. Time to make some movies. I’ve always enjoyed filmaking, but I’ve never had a subject I wanted to cover, and my life is not interesting enough to try and be a vlogger. So, I’ll make project videos… sometimes with the girls… most times alone, in my garage. I spend a fair amount of time there. Why not turn on the camera and see what happens? 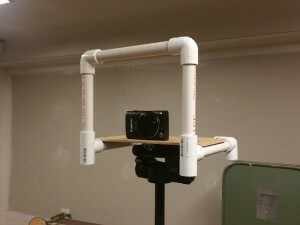 The first is this camera rig. It’s only fitting that my first new video with my new equipment is a video about that equipment. This is a simple camera rig that helps me easily grab my camera and move it around the shop without the risk of dropping it. I also put a quick-release plate on the bottom so I can keep the camera attached to the rig and move it on and off the tripod easily. 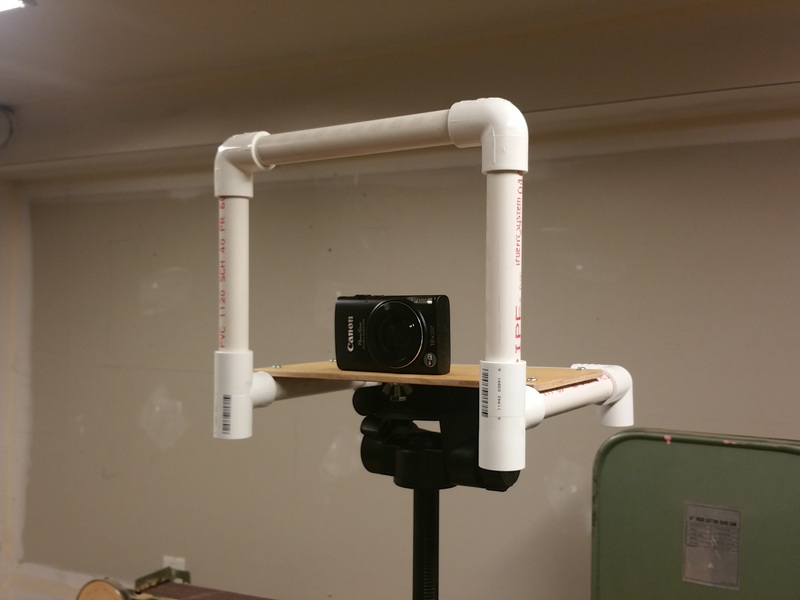 The whole project cost about $5 because it was made from PVC and scrap. 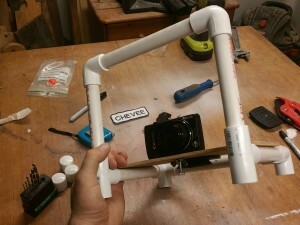 PVC tubing is like LEGO for grown up projects. It’s super awesome to work with on jobs like this. I could have spent time making a beautiful handle out of exotic hardwood and custom finish… but this is something for the shop. It needs to be light, and durable… not pretty. Things that go in front of the camera are pretty… except when I go into selfie mode.